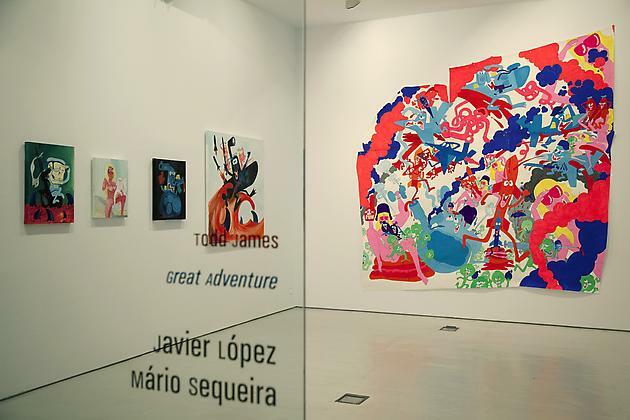 The Galería Javier López is proud to present Great Adventure, Todd James’s first solo exhibition in Spain. 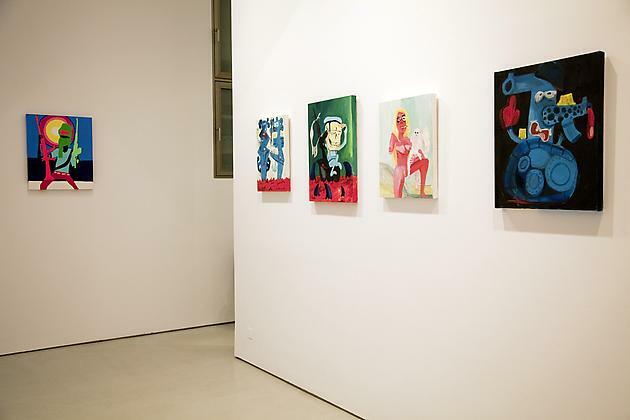 Self-taught, James is an important figure amongst the generation of artists who have influenced popular culture on every level during the last two decades. He began his career painting on the subways of New York City in 1982 under the name REAS. By the late 1980s he was producing landmark commercial art and logos for seminal hip hop acts and institutions such as The Beastie Boys and The Source magazine. In 2001 James was the co-creator of STREET MARKET, a major work and pioneer event of the post-graffiti movement that was subsequently selected for that year’s Venice Biennale. In Great Adventure Todd James shows us his most recent works on paper and canvas, where his distinctive cartoon-like style now depicts subjects as varied as modern day Somali pirates, anthropomorphized war machines of every type, his signature women in emotionally barren landscapes, and irreverent portraits of the personnel that Western governments, with straight faces, call “peacekeeing forces”. The raw transgressive lines of these daunting compositions are rendered in a bright palette of colours that lends the work an innocent and disarming appearance, but deeper exploration shows that despite this cheery surface, the artist is dealing in themes of warfare and global conflict, damage and desperation; subjects whose reality must be sublimated to be bearable, and which here are triangulated effortlessly, astonishingly, and somehow, with James’ trademark humor. 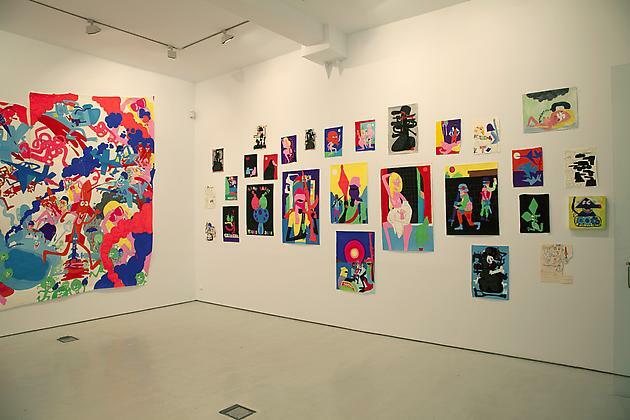 About these works,Todd James says simply: “The reason I find things like this funny is because sometimes you need to laugh to keep from crying”. With this new collection of paintings, which includes some of the artist’s first works in oil, viewers may find both reactions conflictingly appropriate. Todd James lives and works in New York. 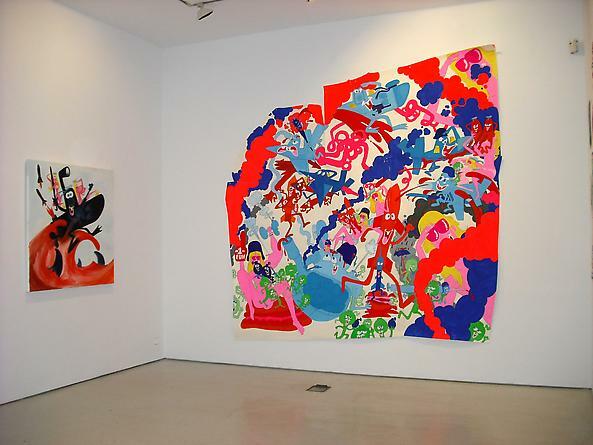 His most recent solo exhibitions were at Gering & López Gallery (NYC, January 2010), Colette (Paris, September 2009), and Monster Children (Sydney, January 2009). 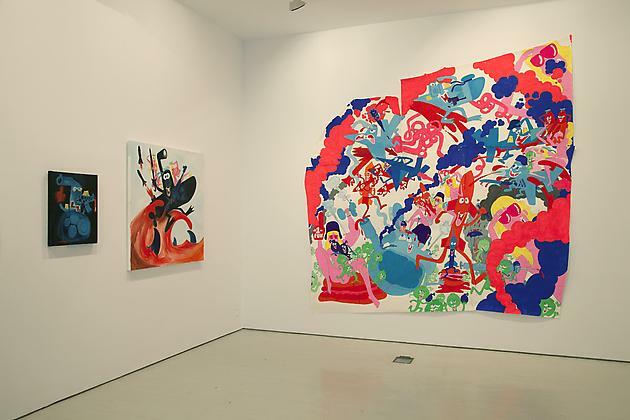 James has also exhibited his work at Deitch Projects in New York, the Institute of Contemporary Art in Philadelphia, the Tate Museum in Liverpool, Lazarides in London, V1 in Copenhagen. 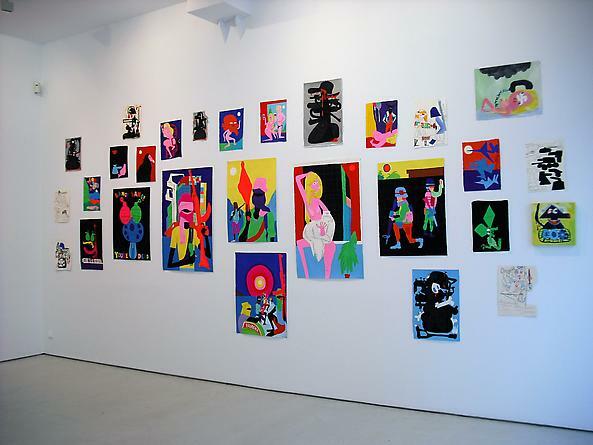 He has also taken part in many joint exhibitions, most notably the traveling Beautiful Losers show. 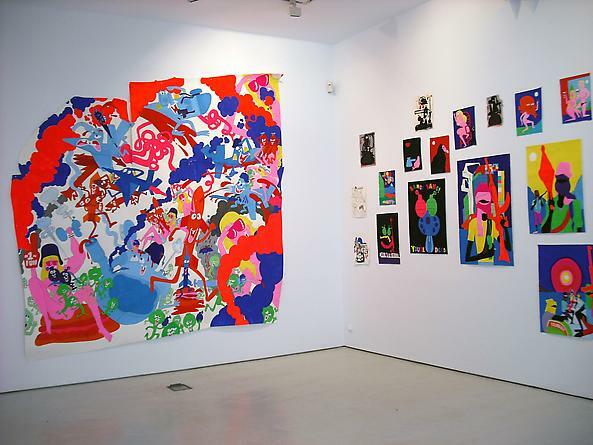 His most recent exhibition (July - September 2010) was the two-man show Brush Strokes, with Barry McGee, at V1 Gallery in Copenhagen.